PostgreSQL is also referred to as Postgres. It is an ORDBMS or object relational database management system and is available for use across most platforms including Linux, Solaris, Windows and Mac OS. It is open source software and is released under PostgreSQL license. 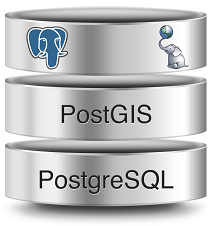 The PostgreSQL database is developed by volunteers employed and supervised by Red Hat and EnterpriseDB and is known as the PostgreSQL Global Development group. PostgreSQL database is completely transactional including DDL statements. It also has a large number of extensions, extensible data types, index methods, operators, functions, procedural languages and aggregates also. The PostgreSQL database management system is available in both desktop and server editions. JSM Infotech is one of the most trusted and relied upon PostgreSQL database management services and support companies that depend upon database management companies for solutions. We not only design, develop and implement PostgreSQL solutions but also manage and monitor its performance and tune it for better performance. We also design and develop applications that are user-friendly as well as easy to use and are highly efficient and effective. Our developers have expertise in PostgreSQL open source database technology with a vast experience in relative field. We share permanent partnership with leading technology providers and esteemed customers. Our professional services consistently interact with our consulting partners and customers to deliver them effective, hassle-free and fast implementation services. We aim to improve your market credibility, performance and profit margins while reducing the expenditures of the database solutions.